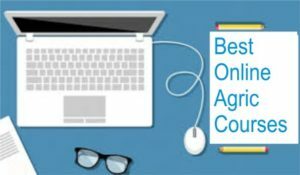 Looking for where to study agriculture online or agricultural online courses to add to your profile in 2019? Have gotten some for you. These online agricultural courses are the best you can study in 2019; they are designed to enhance your knowledge of modern agriculture using various learning aids. Here are five (5) online agriculture programs from reputable agriculture universities and colleges across different countries in the world that offer agriculture courses in distance education. Some are part-time agriculture courses that allow you to focus on your daily activities while you take lectures online in your free time. This is an agricultural course offered by the University of West Australia. The course covers several aspects of agriculture in relation to the human environment. This course equips one with sound economic understanding to aid productive decision making. This is one of the online agriculture degrees offered through the Colorado State University. This online agriculture course equips you with the knowledge of agricultural economic principles involved in the production, sales, and management of agribusiness. This agriculture course teaches an indebt understanding of agricultural economics, agricultural policies, entrepreneurship, and technology. It endows you with a basic tool to run a farm business successfully. This is another agriculture course you can take online. This course is offered by ACS Distance Education. It contains 9 modules and lasts for a period of 900 hours at your leisure. This online agriculture course equips you with the necessary knowledge needed to run a livestock farm successfully. It entails Animal Nutrition and Health, Animal Breeding and Farm management. You can study dairy production online and still have a full understanding of how a dairy farm is managed. Dairy cattle production is an online agriculture course offered by ACS Distance Education; this course provides visual aids such as pictures and videos for a better understanding of dairy production. Do you want to learn more about the cultivation of aquatic organisms for human consumption? Then, this online aquaculture course is for you. Aquaculture is a very delicate profession that requires a sound technical knowledge of how aquatic organisms behaves. This agriculture course broadens your knowledge on aquatic organisms production systems, species of aquatic organisms, feed and feeding, harvesting requirements and varying health conditions of fish. This course is aided with visual aids such as pictures and videos from experts in the field. These are online agricultural courses you can study at your leisure and still earn a tenable certificate. You can now become a certified agriculturist right there at the comfort of your home.